With childlike faith, I decided I would write a novel about a paramedic. I naively researched the profession and assumed I had the correct information. I wasn’t so naive as to think it was perfect. 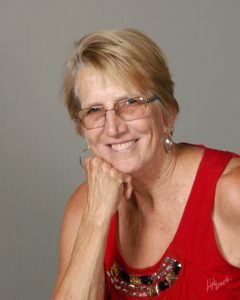 During this time period, I wondered, too, if I was called to write. I belonged to a floundering critique group who didn’t help much. As with all things writing, I prayed. The group fell apart–all left except one new member. Randy Cook had been a paramedic for many years. He breathed life into my book as I studied and worked on his. For a year we labored together. Ironically (or according to God’s timing), when I finished my book. 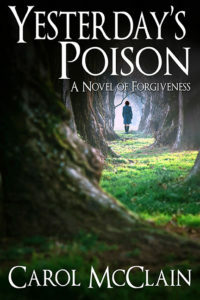 Yesterday’s Poison became a poignant story of friendship and forgiveness. To date, readers say it’s my most powerful novel (and due to the closure of Desert Breeze Publishing, my only novel for sale commercially). Other issues took Randy’s attention, and we lost contact. At that time, God placed me with two ladies who work miracles with my writing. SO WHAT DOES THIS HAVE TO DO WITH PERFECT PRAYER? How many times have you been in church or Sunday school or at dinner and someone asked for a volunteer to pray? How many of you jumped up and said, “Me. I LOVE to pray out loud”? I’d hazard no one. We know our prayers are imperfect. Our words stumble. Our thoughts jumble. Our pride crumbles. GOD WILL PRAY FOR US. Like Randy showing up during the creation of this novel, God, “… Himself intercedes for us with groanings too deep for words … ” Rom. 8:26. I never prayed a paramedic would come along. I only prayed for the success of my work at large. God knows our heart, our needs. He prays for us. 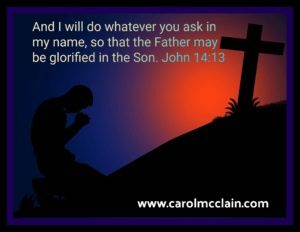 Knowing that, every prayer asked in the perfect will of the Father is prayed perfectly because he ever intercedes with us.